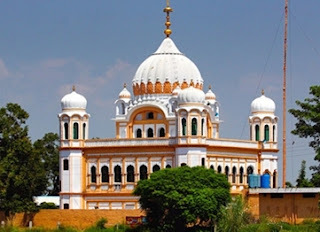 New Delhi (KP) – In a letter sent to Pakistan's president General Pervez Musharraf, Mr Paramjit Singh Sarna, president DSGMC and SAD (Delhi) has appealed that the historic Gurdwaras, Sri Baer Sahib located in the Pakistani city of Sialkot and Gurdara Nirankari Darbar, related to the ’Real’ Nirankari-Sikh reform movement, should be open for the Sangat. Mr Sarna told the mediapersons that he had met General Musharraf when he was on his Delhi visit, and had suggested to him that there should be an open corridor alongside the historic Gurdwara Kartarpur Sahib that was only one kilometer from the border. This would mean that the Sangat could travel freely over to the other side of the border within the corridor to visit the shrine. He also appealed that devotees traveling to Gurdwara Nankana Sahib and Gurdwara Panja Sahib should be allowed to use private buses and cars. Meanwhile, Pakistan-based newspaper the Daily Times reported last week that Pak government had planned to use Rs 50 million on the upkeep of historic Gurdwaras in the country.